Listed below are a selection of some of our top selling Student & Step-Up Cello & Bass. Also a selection of some older & Fine instruments. N.6284 - A contemporary cello labeled Made for and sold by Morel & Gradoux-Matt, Inc. #304. 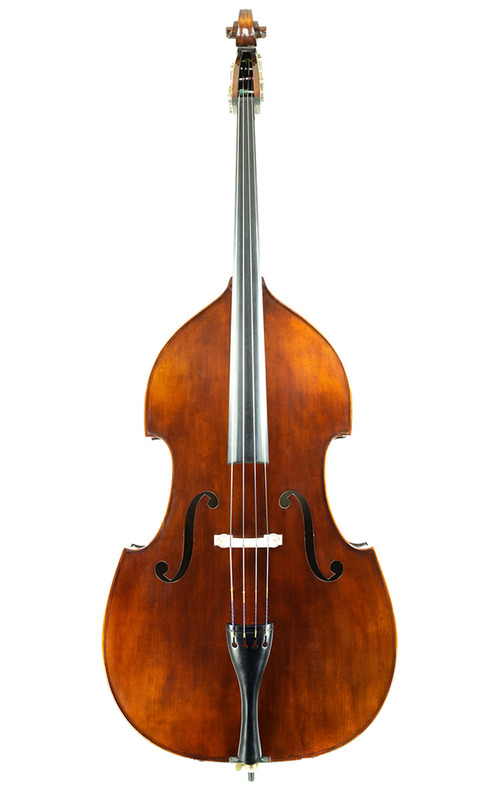 An American made upright bass, 1965, labeled Genuine Kay Bass Violin M-1 Model Serial #50361. Pro setup, ace condition, and sounds great! The Samuel Eastman model 95 bass is built with a fully carved spruce top, just like the model 90 bass, but it is finished with a hand-applied shaded varnish to give it a special antique appearance. Hybrid gamba model with oil varnish, spruce top, laminate mahogany round back back & ribs, brass tuning machines, WVS bridge and setup. A beautiful, easy to play bass with a warm sound! Available in 3/4 - 1/4 size, incl. 7/8.